You are here: Home > Snack toys? There’s a new kind of toy on the block, and it’s difficult to imagine a more damning indictment of the way we treat children. Apparently, today’s children are so overscheduled that they don’t have time to play a board game. Hasbro Inc., the world’s largest board-game maker, has spent the last several years reconfiguring classic board games, including Monopoly, Scrabble and Boggle, into versions that take less time to play and have a more frenetic pace. Unlike with traditional Scrabble, it takes just two minutes and 30 seconds for two players to complete a round of Scrabble Flash ($29.99), where the object is to make as many three-, four- and five-letter words as possible from five electronic tiles. The tiles beep when a 75-second turn is complete and light up when a legitimate word is spelled. Frictionless? What does that even mean in this context? If children now have so little time to play that Scrabble has been reduced to 150 seconds, we have a serious problem as a society. Why? Because spontaneous play is critical to child development. Research on children’s intellectual development indicates that a number of cognitive skills, including measurement, equivalency, balance, spatial concepts, conservation, decentration, reversibility, and logical classification are enhanced during play, and particularly during the course of symbolic play. In addition, symbolic play is thought to afford children the opportunity for creative expression, as well as to actually facilitate creative processes, including divergent thinking. The implications of “snack toys” are distressing at best and chilling at worst. Why have we created a world where children are so scheduled, have so little time for themselves, and so little agency to choose extended spontaneous play they there is a need to amuse them in bite sized bits of time? Who benefits by children being so scheduled, with so little time for themselves and their own play, that there is only time for “snack toys”? It’s not children! We claim to want children to develop creativity, critical thinking, especially to learn how to “think outside the box.” Yet our actions belie our words. Children who have only time enough for “snack toys” don’t have time for creativity or critical thinking and certainly aren’t going to learn to “think outside the box” when their lives are so controlled that even their play comes out of a box in bite size pieces. If children don’t have enough time for spontaneous creative play, they don’t have enough time for the learning, growth and development critical to childhood. Instead of creating “snack toys,” we should be creating more opportunities for spontaneous creative play. I think hands one, physical creative play is the best! Not letting your child play these games for hours and hours, also they need the exercise! There’s really not much difference between playing games that are dependent on luck to win, and passively watching TV all day. Sure, luck-based games are okay for teaching the youngest kids how to take turns and follow rules, but older kids should be given opportunities to develop more complex skills through game play. No wonder most of our science and engineering talent has to be imported. Entertaining only kids is harder than siblings. At present we’re doing Aquabeads and sticker-by-numbers when there is an adult available for hands on supervision of an activity- and “run about”, “play with the cat”, “ride your tricycle”, “watch a show on Netflix”, “make something from your craft cupboard” or “tidy your room” when there isn’t. I’m hoping we can start dance, horse-riding or swimming in September, but that will still only be a few hours on a Saturday morning. Buying her a globe was a good choice- she likes to tell her toys stories about the different countries (if she doesn’t know the name, she makes one up- Papua New Guinea is “dinosaur island” because of the shape) and can occupy herself with that for quite a while. This is one of the main reasons why I love camping with my kids- I don’t bring toys, and they find or make their own. It is quite hilarious watching two little boys fighting over a favorite stick in the middle of a forest. In some ways, this is an OLD problem. 40+ years ago TV was the culprit; teachers were complaining that children weren’t listening but had to have visual stimulation, preferably in short bursts. The era of families around the radio was over. In fact, the era of families doing most leisure time activities together seems largely to be over, too. TV, computer, smartphone, iPad, iPod, etc. for each member of the family, these days. Sesame Street’s programs are designed around the length of the attention span of its target audience — I think the longest segments are only 90 seconds and most less. I definitely think there is a stimulation-overload in our culture today — too much music, too much video, too much just about everything all the time. Multi-tasking seems to be the goal. I sometimes want a sound-proofed cell just to get away from everything, so that I’m not at all surprised kids can’t concentrate for long periods — or even sit still. Fabulously OT but this is the smartest online parenting type community I know, so I want to ask advice on where to find reasonable info on sleep training? My almost 7-month-old still wakes to nurse every 3 hours. He is over the 70th percentile in height and weight and doing well with solids, so I think he should physically be able to sleep at least 5 or 6 hours at a time. Oh, and something no one ever warned me could happen when I stopped daily supplementing with formula, since about 2.5 months he flat out refuses to take a bottle (formula or my milk) so my husband can’t help me feed him at nights. I also have a 2 year-old and I really need some help getting the baby to sleep. If I had known he’d go off the bottle like this I never would have stopped regular supplementing in the early months. I don’t even know what I’m going to do when he has to start daycare in a month. For one baby it worked a treat, he went from waking once or twice a night (and sometimes being up for over an hour!) and needing to be bounced to sleep, to sleeping through and self-settling within a few days (we did the’watch the clock and go help soothe him’ method). He was 12 months old when we tried. Do you have Robin Barker’s Babylove book where you live? It’s the only baby book I recommend. Written by a maternity and children’s health nurse in Australia. It gives options without the ideology and describes different methods, including sleep training and where it can be effective and where she’s found it hasn’t been very effective. Thank you for the recommendation. I’ll have to see if her book is available on line. I absolutely swear by Marc Weissbluth – Healthy Sleep Habits Happy Child. What I really liked about his book is that he gives you several options of how to train: straight up CIO (which we did, and it worked like a charm), graduated extinction (going in every 10-15 min to soothe), place the baby in the crib and walk away, or rock or nurse them to sleep, etc. Tons of useful info about the importance of sleep, too. And at the end of each chapter he has An Action Plan for Exhausted Parents – all the pertinent info from the chapter laid out in bullet points, so if you don’t have time to wade through the book it’s right there for you. Great stuff. Good luck!! Hope everything works out for you. Always ask the pediatrician. They know you and your child and there are many specifics to your situation that might be relevant, but Internet strangers simply can’t know. So I can’t give advice, but I can certainly sympathize. My second child never slept. Never. Slept. It was fine when we could just put her in a crib and shut the door and her some sleep. Then she was able to climb out if her crib and open doors. I would hear strange noises in the basement at 0230 or other convenient times and go down to find she had locked herself in a closet in the basement. So I started sleeping on the floor outside her door so that she wouldn’t hurt herself or somehow get out of the house in the middle of the night. My pediatrician suggested turning her door around and locking it from the outside so the rest of the family could have some normalcy around bedtime without worrying that she would get injured in the middle of the night. He also recommended benedryl or melatonin. Over time we adopted melatonin, PRN. Which mean I do not give it to her unless she specifically asks for it. We started on nightly doses that we fit rated to efficiency and used it as a crutch while we trained her to sleep, now we rarely need it, but she is able to read her body and tell me what she needs. Wee did discover about 8 months after we started the sleep re-training that she has pretty severe migraines. We see a pediatric neurologist who helped us get that under control. With both neurologic issues now well maintained, she is a different child. But we needed the help of some very skilled and wonderful medical providers to get to this point and determine that what was going on was not a “variation of normal,” or normal sleep issues by any stretch of the imagination. Fit rated is supposed to be titrated. I <3 autocorrect. Thank you for that suggestion. Both of my kids actually had some neurological/brain anatomy issues found in utero/early life and the baby was recently checked by a neurosugeon to rule out the possibility of craniosynostosis. I had some how never really thought about the possibility of headaches, but I will bring it up to my pediatrician specifically. I tried Dr. Ferber’s book and liked it, but found that his method of comforting at predermined intervals didn’t work for us. It might work for older babies and kids. I found that coming back to comfort riled my son up even more. The Ferber method would also work for parents who find sleep training very stressful, I think it is more comforting for parents than babies. The book has a lot of very useful info on sleep, but I found that it wasn’t detailed enough when it came to nap schedules. It also has lots of useful ideas on dealing with sleep troubles with older kids. “The no-cry sleep solution” by Elizabeth Pantley sounds too good to be true and it is. It has a pronounced AP slant, and I hated the “it will be ok, little lady” patronizing tone and little cutesy stories and anecdotes. Every how-to book has those, but reading pages and pages of this useless filling was especially annoying because I was so exhausted from sleep depravation. The book has many useful common sense ideas like creating a nap and a sleep schedule, routines, but her process sounds painfully long. I could not finish the book, remember all the little tips, let alone follow the process. Don’t waste your time. Dr. Mark Weissbuth’s book “Healthy sleep habits, happy child” has been my bible for the past 6 months. It gives very detailed age based instructions, and one of the best thing about it is the ” action plan for exhausted parents.” If you are too tired to read the whole chapter you can go straight to that. His plan is somewhat similar to Ferber method- creating a schedule, soothing routines, controlling nap periods, but differs on “the cry it out” approach. Dr. Weissbluth favors the “extinction” method, which is basically putting the baby in the crib and leaving the room. Many of my friends used it quite successfully. I started sleep training at 4.5 months and it worked wonderfully! It is an ongoing process and maintaining strict schedule is often pretty inconvenient, but my 11 month old knows how to fall asleep by himself without a peep, and often asks to be put in his crib when he is tired. He sleeps through the night, and is a happy and well rested baby. It’s wonderful! Oh, yes – Pollypocket is right, it’s a really good idea to check with your pediatrician before starting this process. We had a really thorough check up and got a green light to sleep train. Actually, the pediatrician took one look at me and strongly suggested it. I must have looked like death. I agree, it’s a good point. I got my kids checked prior to starting sleep training – just to make sure they didn’t have an ear infection or something bothering them. Agree about the pre-training check up. That being said, it didn’t stop me from thinking “is his leg caught in the crib bars? did a large spider crawl in and bite him in the face? is there something obstructing his breathing?! ?” That part was hard. But in the end, we survived. And at 12 months my son slept from 5:30 pm to 5:30 am. What a treat that was! I know! I have to say though- my son’s true distress/ pain cries are very different from his regular whining. I always peek thorough a crack in the door though, just in case. He often sleeps with his limbs sticking from between crib bars, and I just leave him that way. I do go to him if I feel something is wrong. Ha. I was just in to see my gp and he took one look at me and one look at my double stroller (where my normally very well behaved two year old was acting out throwing her water bottle and the baby was getting whiny) and immediately asked how I was sleeping! And yes, my doctor also suggested that I make some changes to get some more sleep (unfortunately he didn’t really have any suggestions on how to do that). Thanks for the reviews. It seems like the healthy sleep habits book is the overall consensus choice here, so I’ll have to check it out. Isramommy – no advice here, just a whole lot of sympathy from a mom who has an 11 month old who sounds much the same…. I wish there were a one-size-fits-all method for getting babies to sleep thru the night, but I don’t think there is. My fraternal twin boys were treated exactly the same, but one slept thru the night at 6 months and the other didn’t until 18 months. A lot just depends on the kid. My nephews are fraternal twins and they sleep and eat at the same times, slept through the night at the same age, and eat the same amount. They are very different in other ways though. Their pediatrician told my SIL to give them the same scheduled and she does. I do too when I watch them, but my MIL will let one stay up while the other sleeps. I don’t know why though because it actually makes things worse. One is always more tired than the other because he is more active. Luckily he is also the noisy one. So you can put them both down and the one that is not tired (if he isn’t tired) will just play and talk quietly in his crib. If you put the other one down alone he will fuss for close to an hour before he falls asleep. Awww…thanks for your sympathy. Yes, I have a child that is a little older than the twins, also. And I work full time…there were days when I was so tired I almost fell asleep driving to work. Fortunately my boys are in elementary school now, so I’ve had a few years to catch up on my sleep. The next bout of sleep deprivation starts in less than two months…wish me luck! And don’t worry, I lose the Mommy Wars for lots of reasons too. I started this during nap times, then within a couple of days treated bed time like this too and was seeing some results within a week. We’re still not perfect but resting better. I sat down by the crib and stuck my hand through the bars between the bumper and mattress, and stayed there as long as it took for him to go asleep on his own. He could cuddle with my hand, and I verbally soothed him, and eventually he would get tired enough to decide to lie down, and once he’d lie down and relax, he’d fall asleep. The key was, my hand was down on the mattress, and if he wanted physical touch he had to lie down. So he was learning to associate sleepiness with lying down and relaxing, instead of getting up and hollering. Like I say, within a week I caught him on the monitor waking up, sitting up, and then giving in to overpowering sleepiness and practically falling down asleep. CIO seemed to make it worse, and he basically has separation anxiety in his crib now, so if he really wakes up I still have to go in and sit by the crib for a little while – but it’s 0-1 times a night instead of rocking him to sleep 3 times. Don’t know if I explained it very well but if you’re interested I’d answer questions. I unashamedly loaded him up on food all evening long, too. He wants to share my milkshake? No problem! This method sounds very similar to the ” chair method” which is described in the Weisbluth book. I thought I answered you but it disappeared. I think I know what you’re talking about, because I had read something like that when I tried this. But I’ve since given up on making it to the door. I did something very similar with my older child too, and my baby also likes falling asleep with my hand on his chest. It’s a really nice way to put them down, but so far not helping with our multiple night wakings issue. OK. 🙂 Maybe because my son was a couple months older. I was so desperate I tried co-sleeping before that, but it just intensified the problem, so not recommending it. Yeah, I hear you there. I’ve been been bringing baby boy into bed with us because I am just too tired to do anything else, and I can see it’s making the situation worse and worse. You got my sympathy here. My 9 month old had similar issues. As I’m sure has been said there is not one way that works for all babies. I’ll share what I did that seems to have worked for us. CIO still did not keep her from waking at night. Reading online someone suggested a 2-3-4 sleep routine. So, 2 hours after she wakes up, she takes her first nap…3 hours after she wakes from that she takes her 2nd nap….4 hours after she wakes from 2nd nap its bedtime. This has gotten me the most peace/sleep, either that or she just got older. I also attempted feeding her more during the day and had little success with that. My only other advice is to make sure there is no teething, ear aces, etc. My first baby had no issues cutting teeth, but this one is a completely different story! Also, the 2-3-4 schedule is often used by daycares. You might want to ask the daycare about their schedule. I always used the 2-3-4 method when my babies stopped just randomly sleeping and it worked very well for all three. I also started a routine for bedtime right away and always talked really cheerfully about naps and bedtime. My SIL has been using the same method for her twins and it works well for them too. I think sometimes part of the problem is that bedtime/nap time becomes stressful when you have a baby that doesn’t want to sleep. The parents have stress about it that the baby picks up on so naps and bedtime become bad things to everyone. Then naps are delayed or not taken and over tired babies are much harder to get to sleep. Exactly. This schedule worked like a charm for me. It saved my sanity and I couldn’t believe it was that easy! I wish I had known about with my 1st. All the books I had talked about looking for the baby sleep ques and what not. I didn’t ever find that helpful. I was stressed when I started this schedule…I hadn’t slept in 7 months! Actually, sometimes I was so tense about it I had to get my husband to rock her because I knew she knew I was anxious to sleep. In addition, to the 2-3-4 thing I also did a very strict pre-nap/bed routine. (bath if bath night) change diaper, put on sleep sack, turn on baby Einstein soothing oceans sounds bed thingy, tell baby it’s time to sleep now, rock, nurse, kiss head, lay baby down when sounds went off. I also put blackout curtains over her window and turn all the lights down in the house about an hour before actual bedtime. This isn’t perfect and we still have a rough night or two, but it’s amazingly far from where we started. That schedule sounds ideal for us. My two year old is on basically the same schedule minus a morning nap, based on her daycare schedule (same center where my baby will be starting). Routines always get thrown off kilter here with two kids a year and a half apart, but I like that sort of mathematical formulation to help keep me on schedule. Thanks! I can’t remember the name of the site, but go over to Dr.Beneroch’s site (the Pediatric Insider) several people mention one they liked, and he said he liked it too, on one of the latest CIO posts he did. Ferber’s book is my personal go-to. We also have a homegrown sleep expert -Dr. Avi Sadeh : http://www.amazon.com/exec/obidos/ASIN/0300088248/o/qid=985181685/sr=8-1/ref=aps_sr_b_1_1/107-1115335-6537334 . Thank you all for your input. I’m overwhelmed with all of these great suggestions and recommendations. You know, this would make a great post, maybe Dr. Amy should look into it. I found that lactivists and sanctimommies tend to hate sleep training (or, more accurately, CIO.) It has been proven safe, it does not psychologically scar babies, and it works! The sanctimommies, however, think it is cruel. I had a heated debate with my Facebook mommy group because were actively discouraging one poor exhausted mom from sleep training. In the process I was accused of being insensitive, cruel, ignorant and a bad mother. I couldn’t believe it! I’m not sure the existence of “snack toys” actually is evidence that kids aren’t getting free play. I could see us using some, and we did use a shorter (and more easily portable) version of pictionary on our holiday last week. It was quicker, cutting down on the amount of time for fights, and fit into the suitcase better. With an almost 6 year old and a 7 1/2 year old sometimes shorter games are good, especially when they are playing each other. My kids would probably be seen as horribly over scheduled to some. Between the two, we are out at activities 4 nights a week plus Saturdays during the school year. My son plays football (soccer, and it runs from September to July here), swims, and takes both trampoline and gymnastics classes. My daughter currently takes two different dance classes, swims and takes both trampoline and gymnastics. In November she will drop one dance class and pick up a second gymnastics class. Right now they are taking a one week drama class and the swimming lessons continue through the summer but the rest take a 7 week break. Somehow my kids still have plenty of time for both creative free play and things like board games. They don’t do a lot of roaming the village as yet, but I have been slowly expanding their boundaries. Unfortunately most of their friends live in the next village over, too far to walk on their own just yet. Nasal CPAP, OG tube, there have been comments about the baby having a “cast” because of an upper limb injury an potential shoulder dystocia but I think it’s just a fancy wrap around the peripheral IV. Sign of the times! I babysat an 18 month old who could work a complicated home entertainment system better than the Geek Squad crew who came to my house! I’m not joking! This baby would get so frustrated with me fumbling around trying to work the controls he would just take them from me with a look of pity on his face. Play has changed because the technology age is here. Not only do I remember lengthy games of monopoly, I remember having to use the encyclopedia to look up information. Now I can find out anything in seconds on a tiny computer I keep in my pocket. Its a different world for children these days and human development with be shaped by it no doubt! I’m 28 and apparently learned to program the VCR to record by age 2, before my mother figured it out. Kids are scary with technology. I had a limit of 2 activities per semester. I always worked outside the home after my kids turned three and I need time to myself too. How is this post any different than a post by an AP sanctimommy? Dr. Amy expresses her “concern” and “sadness” about the way children are being raised. Oh dear me, they won’t have normal neurologic development if this frighteningly modern parenting continues!!! Back in the Good Old Days children engaged in imaginative play all day long, and now not at all! And the chorus of self-congratulatory replies to this post are also eerily similar to the ones on AP boards. So much “You’re doing it wrong” smugness. IIRC there is some actual research out there about this! Kids in the “highly scheduled” group had BETTER outcomes than those with more time for imaginative play. (My guess is that that was probably confounding as highly scheduled kids tend to be wealthier, and wealth is associated with good outcomes in general, but a minimum we can say that they are not, despite Amy’s dire warnings, turning into mental cripples). My own children are very unscheduled. They go to public school, but besides that do not participate in a single activity. Not a single one. But this is no virtue, just what our family wants. I have no interest in being a chauffer. On the other hand, my son’s best friend is the most scheduled child I know. Literally 2 activities every day in addition to school: Horseback riding, Karate, bookclub, dance, chess, synagogue, Hebrew, tutoring, scouts…these are just the ones I remember. Asking her to come over to play entails planning 6-8 weeks in advance and then maybe they can find a 2 hour time slot squeezed in. And you know what? Both of them are happy, lovely, polite kids dripping with creativity and enthusiasm. Let’s save the false concern for actual abuse, not for differences in parenting style. I agree with most of what you’ve written – the bottom line is that you have to do what suits your family and lifestyle. I think there has to be a happy medium between regular activities and letting kids be kids and do whatever they like. That’s what I aim for. Whoops. Sorry. I wasn’t finished. That last sentence was supposed to read “sanctimommy post”. But why should it get to her? Why would what other parents choose for their own kids affect her in any way? This is just another form of Mommy Wars or perhaps what she has called tribal parenting. I’M not the type of mom who is so controlling that I refuse to allow my children’s BRAINS to develop. No not ME! Have to agree. I thought this was a satire post at first. You’ll be happy to know, fiftyfifty1, that my husband said almost exactly the same thing after her read it! I have to agree with this. I normally agree with most of what I read on this blog, but not this post. Busy schedules don’t really merit this kind of concern trolling. When my son was young I was very against scheduled activities, all about free time. But as he’s gotten older, he’s in activities because he wants to be. And actually, social skills don’t come naturally to him, and he does better with other kids when they have a goal to work on together than he does when they are just having unstructured time together. Different things work for different families. I remember epic long games of Monopoly as a child. I can’t believe they’d ruin Monopoly like that…. Thank you for standing up for PLAY, spontaneous play. However, if it is controlled by helicopter parents, who hover over the kid the whole time, I think the play will be stunted. As a “Free Range” parent, I would go one step further and promote unsupervised play for the older kids, and less supervised play for the little ones. Kids develop socially, and learn how to make, and follow, rules they create with their peers, when unsupervised. They also learn self management and limits, and a host of other necessary skills. Kids “right to roam” has been lost, and is so far gone that most people cannot even conceive of it as a possibility. Gone are the days where a kid can go off with friends, and be out until the sun goes down- even though the world is actually safer than it was when I was a kid, and even though we now have modes of instant communication. Unlike most parts of history, this is one aspect I am sad that it is lost. My parents used to let me roam free. You have to be a brave and fearless parent to do that. Even though I am a millenial with the accompanying helicopter parent impulses I am trying to fight it. My parents let me roam free too, but we lived on relatively small military bases, so roaming around base housing and the parks was about as safe as it gets. We live in a safe neighborhood now, but my kids still know to stay in the yard, unless they tell me where they’re going first. My oldest is 15, and he checks in with me and lets me know when to expect him home; if I don’t see him or hear from him by that time, I find him. I don’t think that the world we live in is a horrible scary place with danger lurking everywhere, but you do need to use common sense. I am not brave nor fearless, I just think the benefits far outweigh the risks. I respect your point of view but I have to say I was a free-range child of the 70s and because I was and remember it clearly, I’m not a big fan of the idea that time roaming is an unqualified good. I do want my kids to have experiences on their own, to go explore the neighbourhood and the rest of it but…when I was a kid the reason we did all that was that our parents were not that interested in being together as a family, and it was often lonely and sometimes scary, and we got into situations that I wish I had not been in at those ages. I remember a friend who was a latchkey kid who spent a lot of time locked in her bedroom because she was really scared to be home alone but couldn’t tell her parents; some of my peers and I were molested and bullied. Nostalgia for a particular era is a tricky business. When I was in early elementary school back in the early 80s, we lived across the street from a project and the project kids I played with were routinely locked out by their moms during the day. They wanted to use our bathroom because their moms wouldn’t let them in. Or so they told my mom. Nowhere did I say “neglect” was a good idea. Being allowed to have some freedom does NOT have to equal uninvolved parents. Mine were very involved, and we did softball and museums and all that, but I was still allowed to go ride bikes all days with my friends. First of all I just want to say BRAVO Dr. Amy! It’s nice to see a “bipartisan” topic now and again… and It’s a topic near and dear to my heart. I agree that there were benefits to the freedom that kids enjoyed … and there has to be a balance. These “snack toys” are really disheartening! I also agree with Jenn Gruden that it doesn’t serve to romanticize childhood freedom, though. I lived in Guatemala for two years and kids there have plenty of freedom but it’s not out of any conscious parenting decision, or any deliberate granting of “right to roam”, it’s because their parents are occupied with other things and don’t see the value in organizing their kids’ every second. When you are a housewife with a lot of physical chores or a working parent it’s not a priority to manage your children’s free time. I’m of the view that in the past it wasn’t out of the conscious intention to enrich childhood that kids were let free. As Jenn points out, it was sometimes even because parents couldn’t or didn’t want to bother sheltering their kids. I completely agree that with a little luck and the right balance of freedom and supervision, kids really grow and thrive with that space — the average Guatemalan 12-year-old I met was so much more mature than most US kids I’ve met. The cost is that more kids are exposed to adult situations too soon, though. My grandma tells me about growing up in the neighborhood in Philadelphia in the 1920s and it was a similar story. My daughter (who is only 4) begs to take more classes. I started her in sports just as a way to get more exercise. She loves everything and would be taking soccer, ballet, piano, basketball and gymnastics if I let her but I don’t have the time. Right now I limit her to 2 classes. So it’s not always the parents that drive this. On one hand I want her to have unscheduled time (heck I want to have unscheduled time for me) but on the other hand I want her to be able to do some of the things she loves. AMEN! Scrabble games are sacred in our family – the REAL Scrabble game, that is. Extended family get-togethers always involve a competitive Scrabble tournament. I love seeing my elementary school age son and daughter playing Scrabble together, challenging each other over word spellings and enjoying the good natured competition the game brings. Why would anyone want to condense that into a frenetic, shortened game that cuts out everything that’s good about playing the game? I have such a problem with overscheduling and “entertaining” children – whose idea was all of that, anyway? I don’t entertain my children – I provide them tools (books, games, a backyard, raw materials to sculpt and paint and sew and build with) and they use their own brainpower and imagination to “entertain” themselves – unaware that in the process they’re brainstorming, questioning, experimenting, and expressing themselves. I cringe inside when I see kids shuttled from one structured activity to the next while playing games on their iPhones in between. LOVE this post, Dr. Amy. Thank you. You said what a lot of us are thinking. YES. I ABSOLUTELY WOULD NOT RATHER PLAY BOGGLE THEN DISCUSS THE NEWTOWN MASSACRE WITH MY KID AT THE VOLUMES I’D HAVE TO USE TO BE HEARD ON THE CROSSTOWN BUS. I learned to play with just about anything as a child, we mostly had simple stuff like string and paper and pens. Kids in our family got new things twice a year (birthday, christmas). It made me very creative. I plan to do the same with my kid. I guess kids today don’t get any time to think. Twice a year is what we got too and what I wanted to do with my kids. Then the 1st one was born around Christmas. Amen, amen, amen, amen! Parents – You can do something about this in your own lives. I am 29 (well, next week) so my parents didn’t face quite this degree of challenge, but when I compared myself and my brother with my college classmates, I felt they had made a lot of worthwhile choices. We weren’t allowed to read at the table! Parents today are desperate to get their children hooked on reading at all, but I was so addicted to it that they had to set family time as a greater priority. A couple days ago I was eating lunch and wanted to get out my smartphone and look something up, and I looked at my son in his highchair and thought, “I won’t want him doing that.” So I set an updated boundary for my family. We had family dinner together practically every night, because it was a priority. And we had healthy food. We had piano lessons for years, and we were forced to practice half an hour a day. That’s ONE “extracurricular activity,” and we learned it well. Today my brother and I are the only church pianists in our generation within our small movement. No trying to keep up with the Jones’s, they just did what was right for our family. Yeah, neither one of us is any good at any sport, but we can play the piano. We got cell phones once we could pay the bill. We were homeschooled, too, in the interest of full disclosure. My mom substitute teaches now, and I can’t believe when she tells me how they schedule children…even kindergarteners don’t get a nap. So I’m definitely planning to homeschool my children, but even without that I believe these other strategies would help. And once we were done with school, piano practice and chores, our time was our own. One more thing that I don’t believe we often think about with regard to techonology. Would Isaac Newton ever have discovered gravity if he had been sitting under that apple tree playing Angry Birds on his iPhone? He would have brushed the apple away while trying not to lose concentration on his game. We are programmed to hate boredom. That stimulates creativity – or it should. But creativity takes effort. So toymakers – that includes Apple, TV companies, Hollywood, you name it – are ready to exert that creativity on our behalf, for a fee, and we are soon wrapped up in an ever-increasing vicious cycle of boredom as we expect more and more out of our electronic boredom-beaters. Embrace your children’s boredom. Make them beat it themselves. Don’t feel bad if they have to sit still and look around in a waiting room. Maybe they’ll think about what they’re seeing. Our parents unconsciously knew this. I don’t think our parents unconsciously knew this. I just think they didn’t have any of the options we have today. I’m guessing they would have embraced anything to make things easier had the technology had been available. You might be right, but my parents could have bought a lot of stuff for us that they chose not to bring home (start with video games and go from there). My second child was a difficult and demanding baby. So it forced me to allow her sister to become bored. I tell you, that child has such an imagination. She can play for hours by herself. I do allow tv (probably too much, and I’m working on it) but she’s happy to come home from school or camp and be left alone to do art or play. It’s probably part of her personality but I think it certainly helped that she was forced into it a bit. I’m still working on that with the second one (who has other issues to deal with) but she’s getting there. And I love nothing more than watching them play (and this is play I don’t participate in). My parents did all that too, and it was great. My parents were wealthier at that time in their lives then I am now, and had some resources I don’t. They hired a full-time nanny to cook dinner. Their backyard was, and still is, absolutely a safe place for kids to play unsupervised. I can’t afford that service, and I don’t have that yard. Some of the things that you are talking about as parenting baselines are markers of a comparatively high level of privilege. I’m perfectly willing to let a kid be bored, but if I did some of the things my parents took for granted, my kids would be endangered. I’ve allowed more media into my home then they did into theirs as an adaptation to circumstances that are just incredibly different. I don’t really think this is anything new, or limited to kids. What is a deck of cards, if not a snack toy? Or a crossword puzzle, or word finder? The block set in the pediatrician’s waiting room? Or those wire bead mazes? And Monopoly does take too freaking long. My husband, son, and I have a game going on now that we’ve been playing off and on for months. We’ve had at least 3 1-hour sessions, and it finally looks like one of us (me) might be going bankrupt. 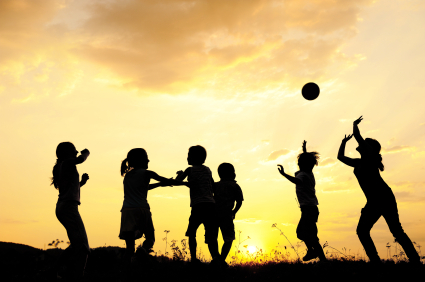 Kids need free play time, but not all of their play time is going to be in big chunks. Why not make the 15 minutes when they’re waiting for the doctor to come into the room, or 30 minutes they have to wait while big brother does karate, time they can have fun? I don’t htink my kids are over scheduled – other than school (our district does not believe in homework other than reading 30 minutes a day), my kids have 2 activities each. My older son does soccer in the spring and fall, and karate year round. My younger son does soccer and baseball (he also does a computer class, but that is through preschool). The vast majority of their after-school time is not scheduled any further than having a general time for dinner, and a fairly firm bedtime. I can still think of many times when a “snack toy” would be great to have around. You’re playing monopoly wrong (like everyone else) – that’s why it’s taking so long. No, we play by that rule (if person landing on property does not want to/can’t afford to buy, it is auctioned). We also don’t put fines/jail money/taxes on free parking, so as to limit the amount of money in the game. What makes the games long is we play with a 7 year old, and we make him count out his own money and figure his own change, which takes time, and both adults playing are fairly defensive players, meaning we don’t have many traded-for Monopolies. It takes a lot longer to go bankrupt when there aren’t houses or hotels on every property! Haha. Fair enough! Good on you for making your 7 year old do the math himself, that is awesome. I agree with Elizabeth A that there is a time and a place for “snack toys”–another good place would be long car rides, if they make them travel-friendly. However, I also agree that many children are over-scheduled and [all children] need unstructured play time. An acquaintance at work was recently telling me how worried she was about her daughter because she wants the daughter to do well on the SATs and get into a good college and be well rounded. The daughter takes violin lessons, swimming lessons, soccer and one other sport (can’t remember what it was), and of course has to do her homework. The daughter is 10 or 11 yrs old, lives with her very bright parents in a very affluent town. Left to her own devices, I’m sure this kid would be fine. With a mother like this, I’d be worried this poor girl will develop an anxiety disorder and be anorexic by 16. She has no time for playing with her friends, she has to study for the SAT that she won’t be taking for 7 years. Meanwhile, my own father was trying to get me to sign my children (4.5yr olds) up for soccer or T ball or something, so they “won’t fall behind their friends.” He seems to think that if we don’t get them playing team sports NOW, they’ll be total unathletic misfits and losers for life. I think they should play a team sport, if they want to, probably starting when they are in 1st grade, but only one sport at a time. Key words being: if they want to. Team sports teach valuable skills including how to work with others and hopefully how to be a good winner and how to be a good loser. Plus the social time they get is highly valuable as well. For now, they like running around and playing make-believe games. Every time we’ve tried to explain games with rules, it’s gone awry. Bickering amongst themselves about the rules they’ve made up seems to be a favorite. They go to daycare, where they get both structured and unstructured time. Same at home, though we lean towards more unstructured at present. I do some classes with my kids. I mix it up a bit, but so far the 4.5yo is enjoying music lessons and by 2yo likes gym classes. I’ve tried some of the others, one being toddler soccer because the 2yo loves kicking around a ball. Most toddler classes seem to be more about sharing, taking turns and following instructions. All good things to learn, but he gets a lot of that at daycare. So for now we just kick the ball around the yard for fun and I’ll wait until he’s a bit older again for soccer. Well, they did take swim lessons this summer, and they do things that involve sharing, taking turns and following instructions in daycare. Plus they are twins, so they have been sharing and taking turns since birth, so they have that part down. Speaking as a kid who WASN’T put in team sports at a young age, I have to disagree a bit. It’s REALLY tough to join in sports at a later age when the other kids have been playing for 3,4,5,10 years. I’m not talking about signing a 5 year old up for 5 team sports, but at least one, so they don’t regret it later. But is waiting until age 6 really too late? That seems normal to me….then again, I am a really non-athletic female, so what do I know? Maybe I am driving my sons towards lives of locker room beatings? Yeah this happened to me too. My go-to toy for waiting times is an app I have on my phone with flashcards that teach kids vocabulary with fun sound effects and pictures. It’s educational and exciting because he can only use it in the doctor’s office etc. With regular toys I encourage my son to stick to what he’s doing and expand his attention span, ‘snack toys’ make no sense to me. I’m so glad I’m not the only one! This was on the heals on my husband and I jokingly suggesting that we “clicker train” our daughter. OT: Why would you need to reconfigure Boggle? It takes 3 minutes to play. That said, a reconfiguration of Monopoly would be great, since it is a terrible game that can last for hours beyond the point where all reasonable gameplay has stopped. Because Boggle isn’t easily portable. I’d be finding little letter cubes in my car for weeks if the kids tried to bring it with them! We have a little travel keyring boggle, but the timer (little sand thing) keeps going missing. Actually once you sit down and really read ALL of the monopoly rules, it goes much quicker. There are a ton and I get why so many of them have been lost, because monopoly is such a well known game that at this point the rules are just word of mouth and tons of things have either been lost or added and assumed apart of the game. My husband was bored one night and read the whole manual and we realized we’d been playing half of the game wrong for our whole life. It goes much quicker when done properly. Nope, monopoly still a terrible game, even with the right rules. I didn’t say it was a good game. Just that it went much quicker. As a tabletop gamer, I agree with everything that was said in that article about that game and most common board games. LIFE is a pretty bad offender too. Over scheduling is a huge problem. Sometimes it can be child driven as well. My kids often want to participate in the the same classes / groups as their peers. We actually had to draw a line and insist that there is at least one evening a week when we are all home as a family with no agenda or curriculum. Mommy and daddy need the down time too. My kids are still young so it seems like every toy is a snack toy. That is just bizarre. As I type, my kids are running around the room, screaming and chasing each other with feather dusters. Before that, it was eviscerating a stuffed bird and playing with the electronic “cheep” mechanism inside (“Mommy fix!”). One of the greatest toys I had as a kid was a giant pile of dirt in the back yard. My sis and I played for WEEKS with it. We built an entire CITY and had stories about the people that lived there. It was AWESOME! Kids need to just PLAY! Omg-brings back happy memories of spending an entire summer making mud pies. The drainage system in the backyard had to be replaced and the grass went with it, we made mud pies from dawn to dusk. Mud left over in various containers overnight became “mud cookies” and “mud cakes” that could be decorated with dandelions and pretty rocks. Towards the end of summer, we were getting a little fancy with construction paper trimmings. That was the best summer of my life! My parents built a house in a new suburb and it was surrounded by sand. We invented a game called ‘dams’. We’d dig a hole, turn the hose on slow and it would fill with water. We’d build up the walls but eventually the water would burst through and we dig a run off dam. We ended up with a network of dams running all the way down the hill. Not sure that would work with water restrictions these days. My brother was very into the bricks-I had a “bakery” going with a couple of the neighborhood girls. I forgot to add that someone decided to paint small rocks to add to the cookies, pies and cakes. That diamond mining sounds line it was fun! My take on these is rather different. By no means does a “snack toy” replace spontaneous, creative play. It replaces Angry Birds. This is the item to hand over when the restaurant is taking too long, when the kid is waiting for his turn in the dentist’s chair, when the bus is late or slow. They’re what I give the kids in the moments when I would, myself, be knitting the sock I keep in my purse. A child who has time for snack toys does not necessarily only have time for snack toys. There is a major problem with a lack of outlets for spontaneous play, but snack toys don’t strike me as part of it. My younger kid goes to a full day daycare with a very scant curriculum and a playground right outside. My older kid gets most of his “spontaneous” playing done at the Boys and Girls Club, where (as wonderful as I think they are) spontanaiety has to fit into scheduled blocks, and it would be nice if he spontaneously wanted to play soccer with other kids when the gym was signed out to six year-olds, and spontaneously interested in the big drum kit when it wasn’t reserved for band practice. Some days I dream that I could quit my job, move to the suburbs, and join the PTA, and then the kids could have great wads of unscheduled time… I just keep forgetting to buy lottery tickets. You make a really good point! Snack toys are probably ideal for those pesky “waiting” situations. And they are definitely better than angry birds. Having said that, I have a friend who just signed up her daughter for several activities because they will help her into a desirable middle(!) school. The kid hates them. Another friend was preparing her 2 year old for a kindergarten interview. The situation with good schools is especially bad in NYC. I agree with this post, but as a parent I am also troubled by the huge amount of competition that starts very early. We compete for the few places at great schools or after school programs because they have a huge effect in the future if our children. Or we wants to give our kid a leg up in the competition for a good college. So yes- sports, violin, art, gymnastics- all these activities give our kid a leg up in this crazy competitive world. My go-to “waiting toy” is 20 questions or I spy. Mostly because I’m too disorganized to carry actual toys. I love 20 questions! Playing with my kids is a hoot too, because nothing is off limits. Which is why a standard question is now “is it real?” after my son’s thing he was thinking of was a bubble monster, an imaginary creature that is bigger than a blue whale, but really nice. I love it! My daughter’s two most recent gems were an electron and a gnat on a leaf. Her mission in life is to show me that her intellect is vastly superior to mine. I have a pad of paper and crayons in my purse at all times. Also a bag of Squinkies. I have a pad of paper and a pencil (rather than crayons) in my purse at all times, too. Except that they’re actually for me to use, and my kids sometimes get to borrow them ;-). i just looked them up and now they are on my wish list for Christmas! I live in Boston. There are programs that will put your 5th grader in 10 hours of classes on Saturday to prep them for the standardized test used for admissions to the city’s exam schools. As appalling as I think that is, I get it. Because I work full-time, my kids are not getting that sports, art, music, gymnastics leg up, and I’m aware of it, and I worry. I went to an exam school, and did nothing to prepare for the test. Very few of my peers did either. Now there seems to be far more structured preparation, stuff that I don’t even think existed when I applied. I LOVED my high school, and felt very much like I belonged, and would be quite sad if my children didn’t get the same experience because they didn’t do as much test prep as everyone else. But, at the same time, if you have to work for ten hours every Saturday in order to get in, is it really the right place for you? Are those kids happy? Those programs aren’t intended to help parents shoehorn kids who wouldn’t really be good fits into the exam schools. They’re intended to address the known deficits of the public elementary system, and prepare kids who might well be good fits for the exam schools despite the fact that public school isn’t managing to do that. I don’t think the kids in those programs are happy, and I see why their parents signed them up anyway. The exam schools could be a serious leg up for bright but underprivileged kids, but in practice, those kids aren’t adequately prepared for the exam by the elementary schools. We send our kids to the public schools, but we’ve acknowledged that we’re basically using them as childcare, with the expectation that the lion’s share of actual education will occur at home. Oh. Totally different context. My school was the main feeder school for the magnet and the entire curriculum was designed to help us pass that test. So I didn’t do anything ON TOP of that, which today’s kids seem to be doing. I understand why parents with crappy schools would go the Saturday school route. I used to bring in my crappy-schooled students into class on Saturday for exam prep, too. What I would give for that school! Actually, there are limits to that. I could pretty much get that school for $50K a year, but we had to let that opportunity pass. I totally lucked out. The school is public, but the neighborhood that contains it is now so expensive that I can’t afford to live there, nor can most people I grew up with. Meh. I don’t think there’s any inherent problem with Angry Birds as a distraction when you’re ‘waiting’. Seriously, how often are you in a situation like that? 10 minutes a few times a week? Plus, if a kid is old enough to play Scrabble in any rendition, they are old enough to read a book, or sit still for a few minutes of waiting. Not necessarily. My seven year old is a very reluctant reader – he can read quite well, but lacks confidence in his reading ability. But he loves word games. His teachers encourage this love, as they feel anything that makes him more comfortable and familiar with vocabulary will only help his reading skills. He’d be all over the quick Scrabble game (which really, just sounds like Boggle without the pesky pieces to get lost in the car or the bottom of my purse). 1. It makes noise. That’s not appropriate in all situations. 2. It’s on my phone. I have only the one phone, I cannot both hand it to DS so he can play Angry Birds and use it to tell my boss the bus is running late. I’ve never seen an electronic device you can’t turn the volume off on.